After system refresh/copy i found that ST03 still showing the name of source in Workload Analysis menu. Here is some work around to delete the source. Select all the right hand side value of source system & delete all. Now your source system is removed from ST03 Workload menu. After deleting the source system you got a popup with error “No System Load Data Available”. Adding Present System in Workload Menu. Schedule the SAP standard job “SAP_COLLECTOR_FOR_PERFMONITOR” from SM36 in hourly basis. This job runs the ABAP report “RSCOLL00” , Collect the data and update your Workload Menu. 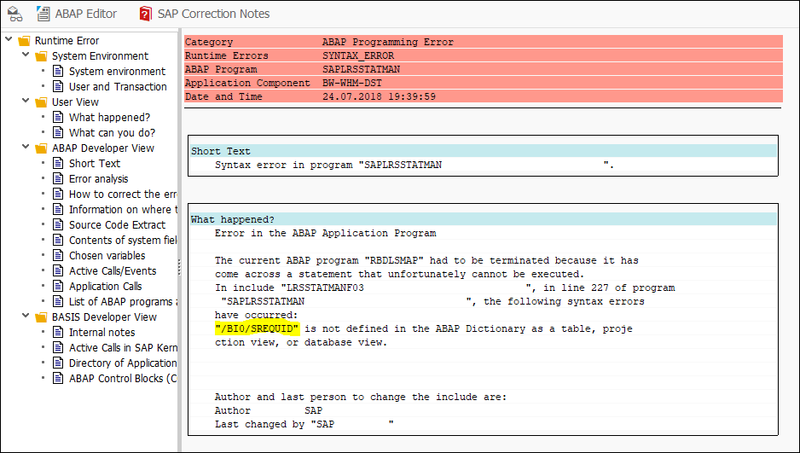 Recetly we have done ECC 5.0 Homogenous System Copy(ABAP only) via SAPinst method. we have completed it successfully. However it’s gives me some error while importing the Database Content.